Whenever the government takes a new approach to something, a certain amount of confusion and misunderstanding is expected. This is especially true when a new approach affects as many people as the most recent tax legislation has. 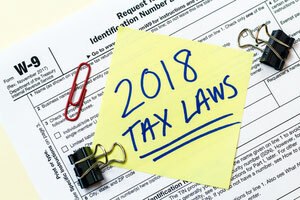 In addition to taking a new approach to taxes, tax brackets, payments, and other aspects of the tax code, the new tax legislation is also likely to affect many other aspects of life and the law both directly and indirectly. Divorce will not be immune from the effects of the new tax legislation. While the long-term effects will take a while to really understand, the new tax legislation will have an almost-immediate impact on alimony. That will be an important consideration for any couple currently weighing their options when it comes to divorce. A recent article from CNBC provides some important information about how alimony obligations will be handled under the new laws. As per the new tax legislation, alimony obligations put in place after December 31, 2018 will be treated differently by the tax code. Any alimony obligations ordered after that date will no longer be eligible for tax deductions. Likewise, recipients will not be taxed on alimony payments they receive. For some individuals, they will want to rush through their divorce to have any potential alimony agreements in place before the end of the year. However, some recipients may be more interested in delaying the divorce settlement so that they can take advantage of the tax savings the new approach to alimony will provide for them. There can be no obligation after the death of the recipient. An experienced Florida divorce attorney can help make sure that any alimony agreement you enter into meets these and other important requirements throughout the divorce process. Divorce is often an adversarial process to begin with, and any discussion about alimony is likely to be intense. 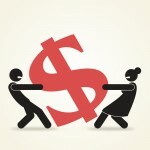 However, negotiation is a large part of a successful divorce. Negotiation can play an important role in achieving a divorce settlement that is fair for everyone involved. Analysts anticipate that the new changes to the way alimony is handled under the federal tax code could make negotiation in divorce much more difficult. In the past, alimony has been a difficult pill to swallow for many individuals who may be obligated to make such payments. However, such obligations did come with potential tax benefits that at least helped offset the cost of alimony. 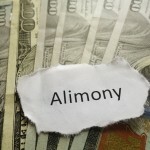 Without such benefits, alimony can have an even more significant impact on a person’s financial health and well-being. As a result, analysts from the article worry that an important tool may become unavailable during negotiations. That could result in a larger number of cases going to court because of the increased difficulty of reaching an out-of-court compromise. In the long-run, that could end up costing both parties more money. The new approach to alimony payments could also force some couples to stay together even though they really do not want to. There are already some situations in which couples determine it is cheaper and easier to stay together unhappily than to divorce, and some analysts believe the number of couples choosing this option could increase. That could result in a lot more unhappy families, and that can result in significant complications for spouses as well as children who are in essence forced to remain in an unhappy environment. 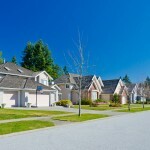 Experts also warn individuals that several important aspects of the law are still unclear. For instance, it is unclear whether an existing alimony arrangement that is modified after December 31, 2018 would be subject to the rules that take effect after that day even if such an agreement had been put in place before the change takes effect. An experienced Florida divorce attorney can play an important role in helping you navigate the divorce process and face challenges that are likely to arise along the way. Through thorough preparation and a dynamic approach to the unique circumstances of your case, a divorce lawyer can be a large part of how you face divorce and related issues. Much of the long-term impact of the new tax law and other smaller changes in state and federal laws have yet to be seen and are difficult to predict. However, preparing for potential issues and challenges can help you avoid them or at least address them quickly when they do arise. Experienced legal advocacy can help you do just that. Divorce can be an intimidating process. If you have question or concerns about divorce, including questions about how new or changing legislation might impact agreements you already have in place, contact Scott J. Stadler to schedule a consultation and find out more information about how we can work with you to address your family law needs.